Thank you for your interest in a Party Time Photo Booth. And I have a photo booth that is unlike any other. Party goers enter a perfectly lit open style photo booth to shoot their own self-portrait. Or create their own fun memories with props, signs and funny faces. With our professional studio lighting, camera equipment and on-site support staff, everyone looks fantastic and leaves the booth smiling and laughing because they had a great time! Yes, I did a photo bomb at my daughter's graduation party! 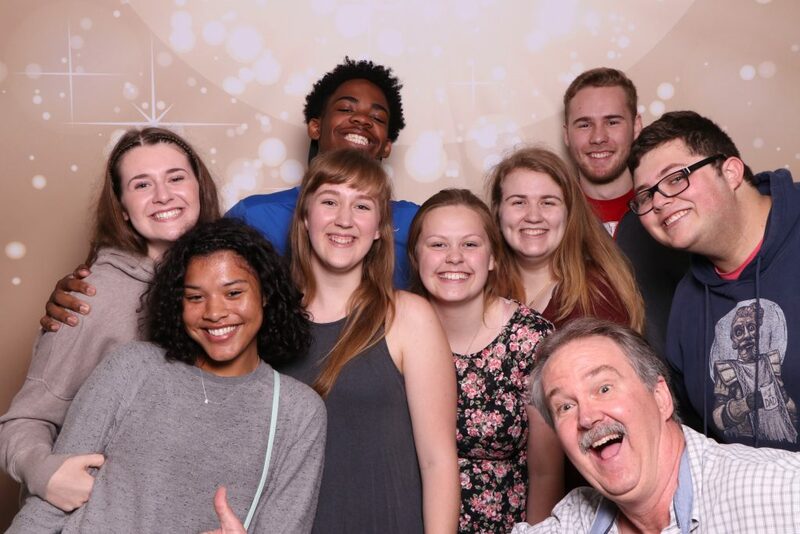 Nine people in this photo booth shot… plenty of room for seven more!